The Mettler Toledo IND range of scales supports the MT-SICS protocol. 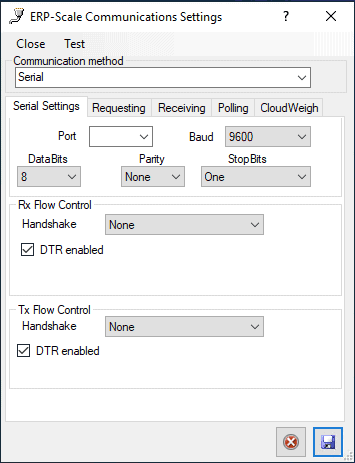 We advise using DIALOG mode with the scale as it offers a robust communication method. 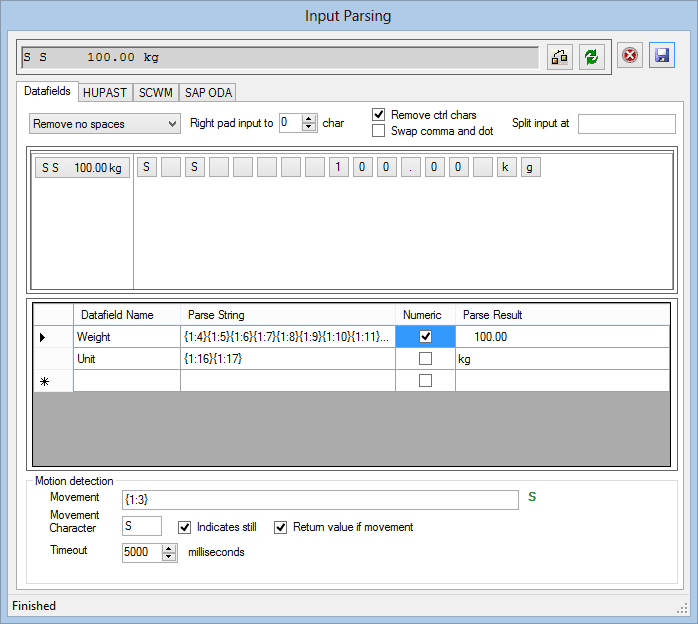 The guide is based on the factory default communication settings for an IND570 scale. Check the current settings for your scale using the indicators menu. The scale has been reset to factory standard settings (based on an IND570). Check the user manual for the correct baud rate, data bits and parity for your scale. The factory default communication settings for the scale may have been changed. Check the current settings using the scale’s menu. 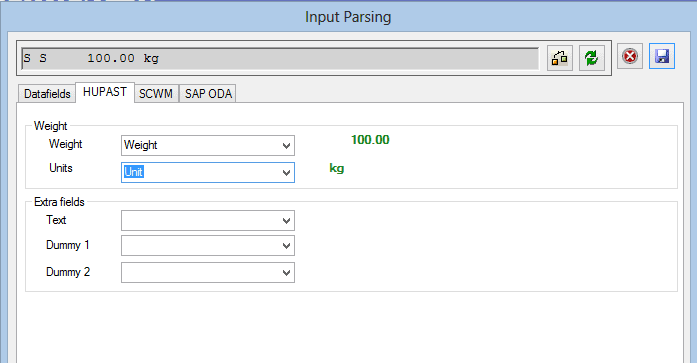 The request text is only required if the scale is set to DIALOG mode. 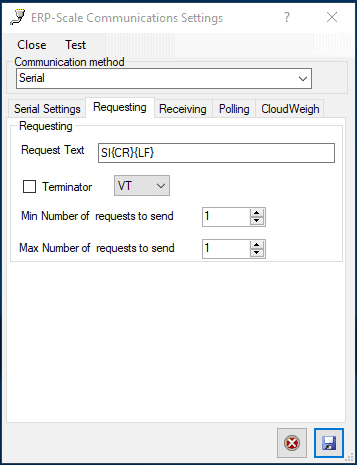 If using CONTINUOUS mode, leave the Request Text empty. 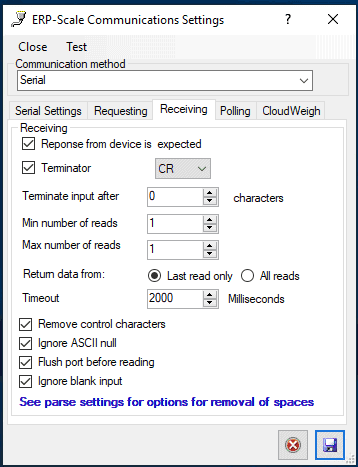 If using CONTINUOUS mode, increase the minimum and maximum number of reads to 2.